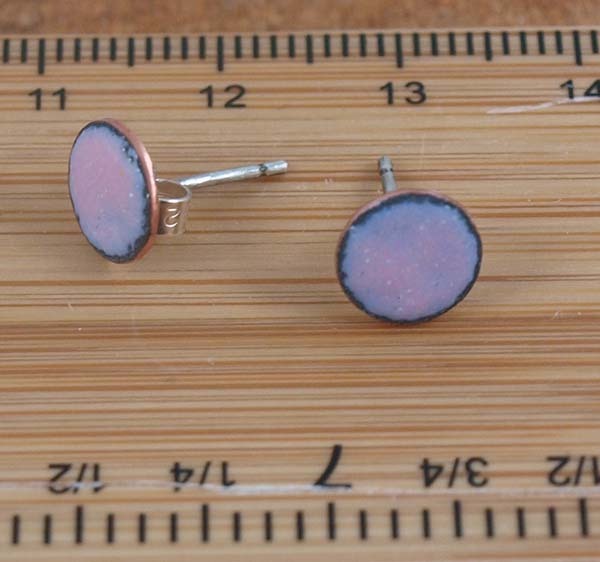 Beautiful little rose pink stud earrings just 8mm in size. Great for a little flower girl or bridesmaid gift. 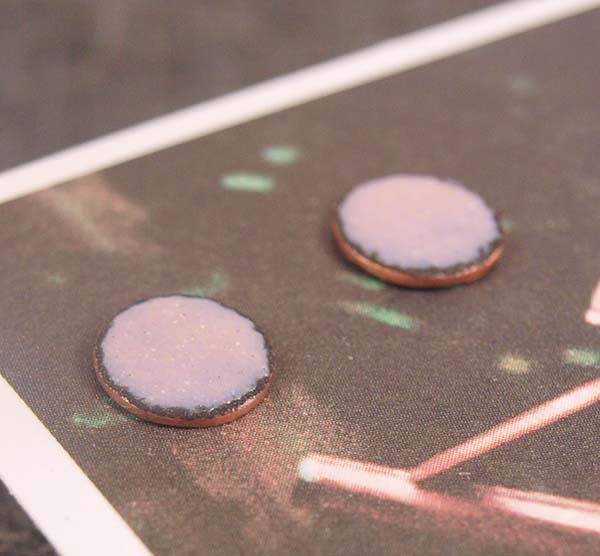 The pale pink enamel has been kiln fired onto the copper disk onto which I have attached a sterling silver ear post. 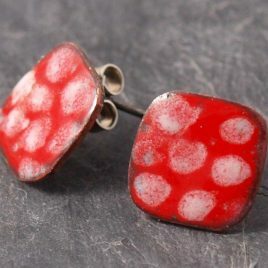 I would be happy to do a collection of these earrings if required for bridesmaid and wedding jewellery. All jewellery is delivered in a hand stamped cotton linen gift pouch ready to give or receive. Copper enamel blue heart ear studs. A blue Heart for a blue day. 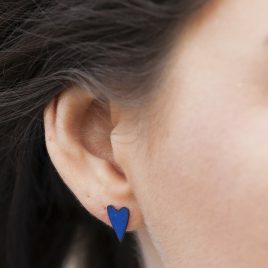 Little heart earrings for a little romance. 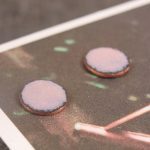 The heart copper shapes have been coloured with a gorgeous mid ocean blue enamel which has been fused to the copper in a kiln. 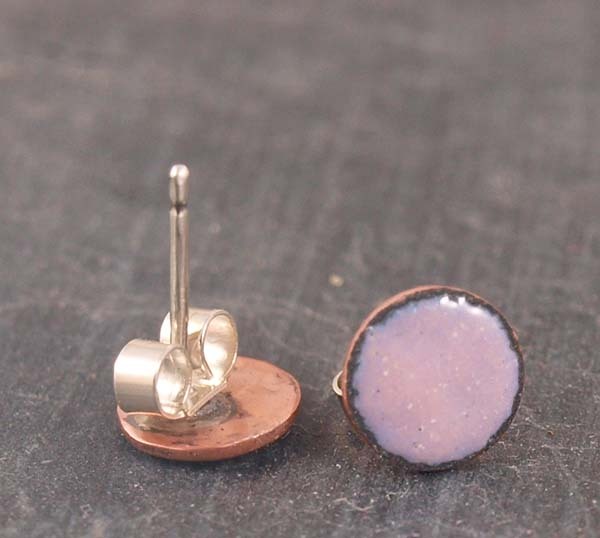 The copper enamel heart ear studs are 12mm x 8mm and have a sterling silver ear post with scroll soldered to the back. I make these little hearts in a range of different colours and are great gift ideas for valentines day, anniversary, wedding, or bridesmaid. 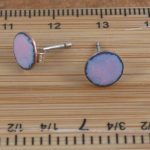 These earrings are available in a range of colours. Pleaes get in touch if you are after a specific colour. 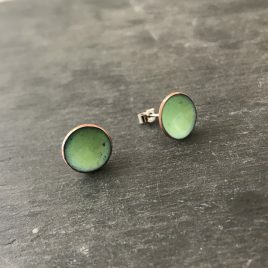 Handmade copper enamel stud earrings in a beautiful fresh celadon green colour. 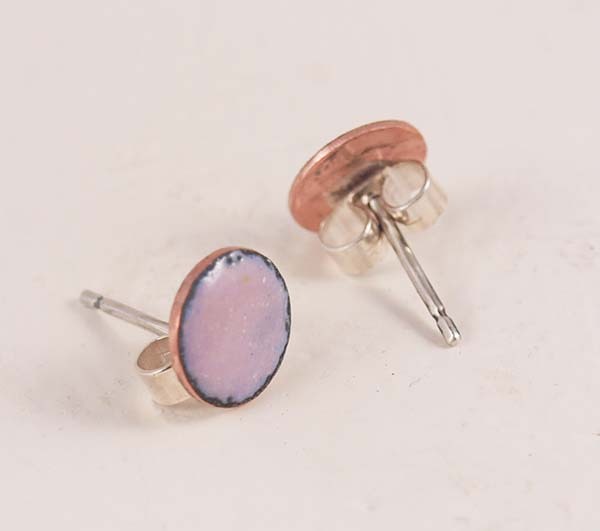 The earrings are 13mm in size and have a sterling silver post and scroll on back. Click here to see other colours and sizes that are available in this style.